I’m not quite sure when the A.T. fever set in. Maybe it was when I purchased my A.T. planning guides. …No, it was before that. 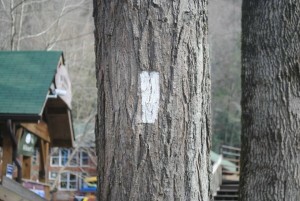 Maybe it was when I happened upon the A.T. Founder’s Bridge Festival at the Nantahala Outdoor Center. … No, surely it was before that. 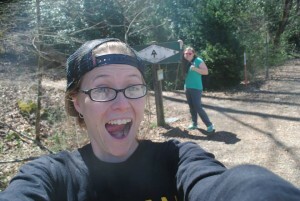 Maybe it was when I took my Wilderness First Aid certification with one of my best friends, Meagan. No… no, that’s not it either. I’m not quite sure when it happened. I just know it did. Suddenly this irrefutable urge to hike 2,185 miles spanning 5 months overcame me. Most people think it’s a strange urge. They tell me “it’s a waste of time,” “it’s a waste of money,” “hiking that long is irresponsible,” and yet still this desire to be utterly surrounded by nature does not waiver. I want to wake up with the sun. I want to study the forest floors. I want to feel my body strain to climb a mountain and rejoice when I make it to the peak. I want to experience so many things and it all involves giving up the comforts of everyday life, just to hike. In a way I feel so ready, despite still needing quite a bit of gear. I feel like I could just start right now and walk all those miles. Rationally, I know it takes preparation, planning, and a lot of determination. It also takes a willingness to give up certain things for a time, like: furthering my career, starting graduate school, staying close to family, and spending time with my boyfriend. Those things are hard. They are some of the only things that bring me out of this Appalachian Trail la-la land that I’ve gotten myself stuck in. Even with all this starring me in the face, I’ve made a decision. Because it’s now or never. I know that if I don’t act on this feeling now, I’ll never accomplish this lifetime goal. “Why do I say that?” you might ask; “There are hundreds of people who hike the trail when they retire.” As true as that might be, one thing I do know, is myself. I’ve heard too many stories from people I’ve encountered over the years who say, “I was going to do that, but life got in the way.” People get so bogged down with work, bills, and careers that they begin to put their personal, crazy, all-or-nothing dreams to the side. Not that life getting in the way is a bad thing, it’s not. Living life is what we are supposed to do, but this hike is how I want to start living mine. 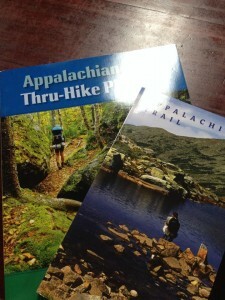 So, starting in March of 2016 I’m thru hiking the Appalachian Trail with one of my bestest buds, Meagan Kelly. She lives in Maine, about an hour from Mt. Katahdin. I live in Tennessee, about an hour from Springer. And together we will be completing a NOBO hike. I’m looking forward to this deranged adventure. I’m sure it will be filled with laughs, friendships, fears, and hardships, but I wouldn’t ask for it any other way.